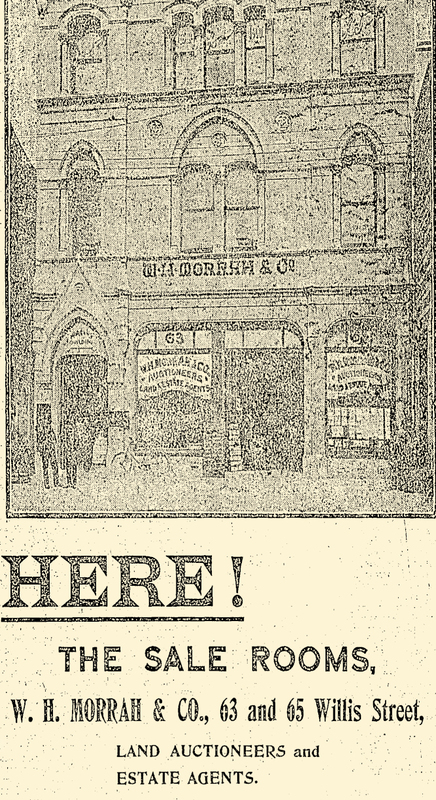 The old Trocadero site in Willis-street is to be occupied by a handsome three- story building, erected by Messrs W. H. Morrah and Co., auctioneers. The tender of Mr. J. H. Meyer has been accepted for its construction in accordance with plans prepared by Mr. J. Charlesworth, architect, and the building will be completed by about April next. The ground floor will be occupied by Messrs. Morrah and Co., and in addition to the usual offices will include an auction-room 36ft by 90ft. 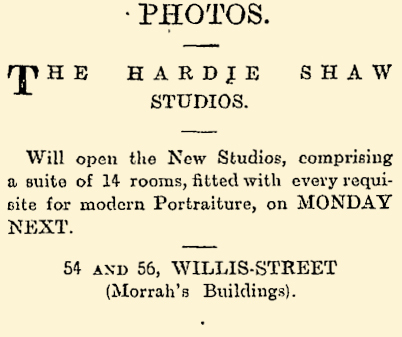 The second floor will be divided into suites of offices for letting purposes, and the top floor will be occupied exclusively by Mr. Hardie Shaw as a photographic studio. 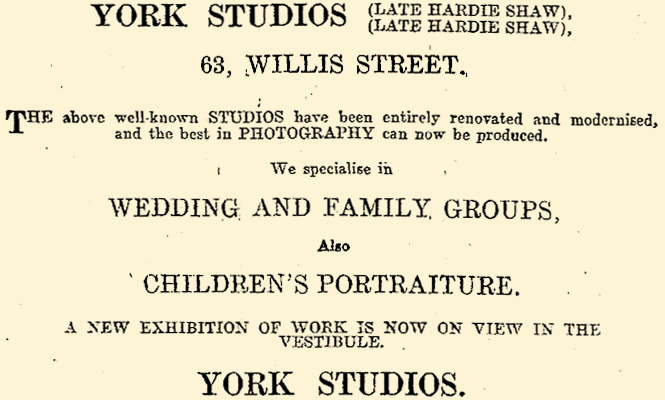 J. N. Isaacs, Victoria Studio, Manners-st.
Berry and Co., N.Z. 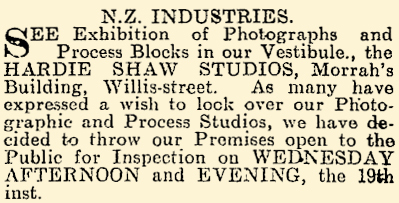 Photo Company, 64 Cuba-street. 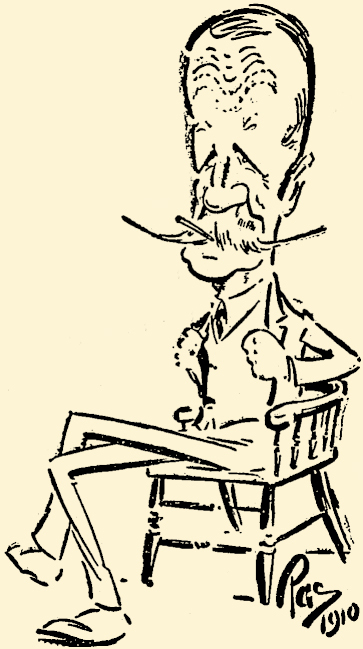 J. H. Brown, Upper Willis-street. 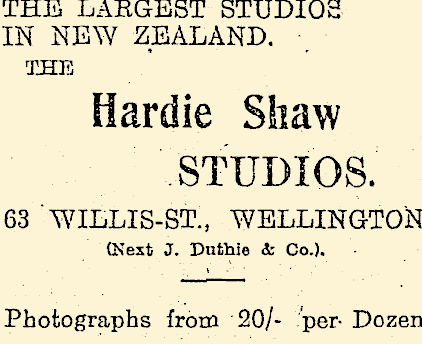 C. A. Ogilvie, Airlie Studio, Vivian-street. Honorary Secretary of the Theosophical Society. A wide circle of friends will regret to learn of the death of Mr. R. J. Hardie Shaw, which, took place this morning, after an illness extending over some months. 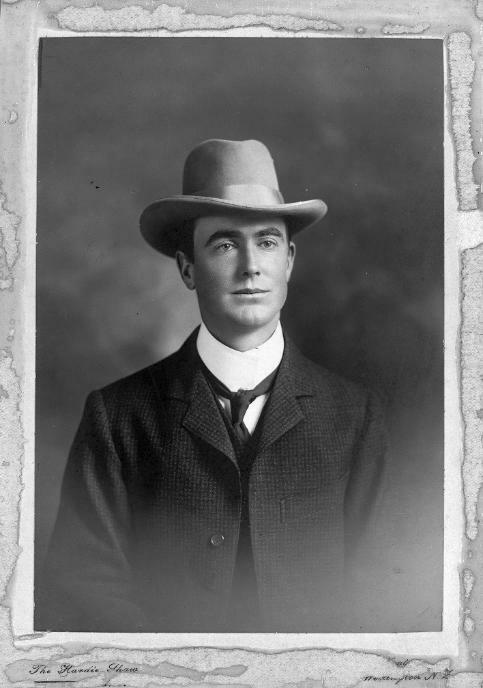 Deceased, who was born in Auckland, was a son of the late Mr. John W. Shaw, Deputy-Registrar of Deeds and Lands, and lived mainly in Sydney and Wellington. 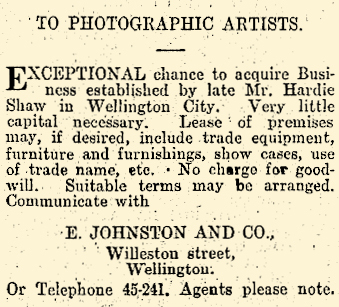 He entered business in Wellington as a process engraver a considerable time ego, and remained in this until he was taken ill. He was a prominent member of the Wellington Industrial Association, Central Chamber of Commerce, and many other local societies. He leaves three sisters (including Miss Margaret Shaw, who has been associated with him in his business), and a brother, to mourn their loss. The many friends of Mr. R, J. Hardie-Shaw, the well-known Wellington photographer, will learn with deep regret of his death on Saturday last after a lingering and painful illness (reports the Dominion). 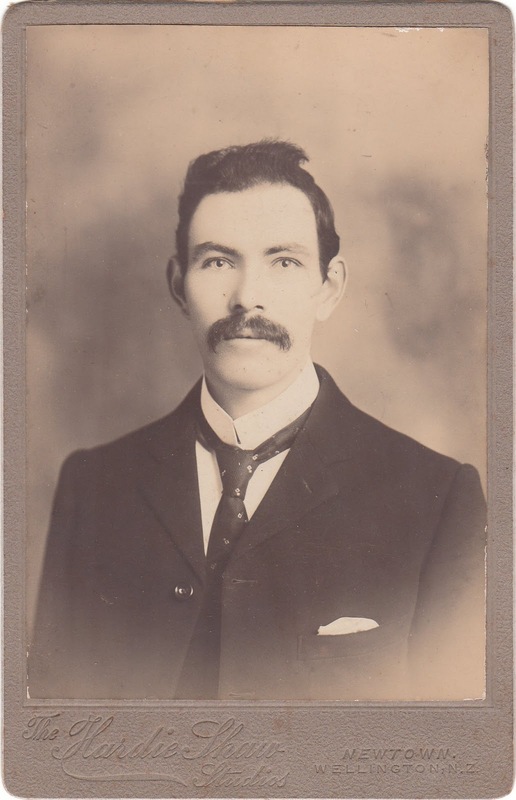 Mr. Shaw, who was eldest son of the late John Waddell Shaw, of Edinburgh and Wellington Deputy Registrar of Lands and Deeds, was born at Auckland, but had lived mainly in Wellington and Sydney. 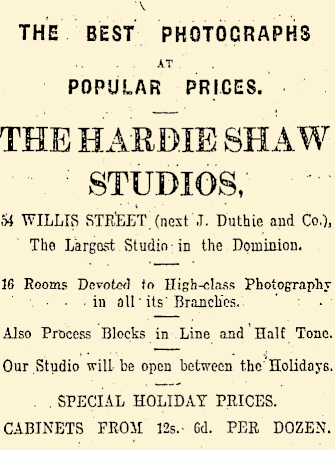 Mr. Shaw started his career under his father, but felt the call of art and found expression for his talent in establishing with his sisters as partners, the photographic and process engraving business in Willis Street, 21 years ago. 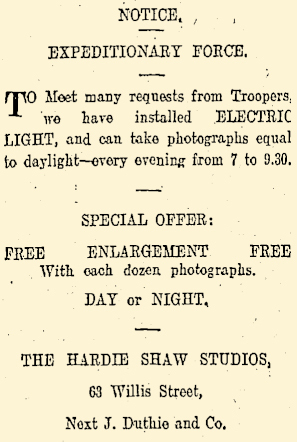 His expert knowledge was often called upon as judge in the photographic section at the various shows. 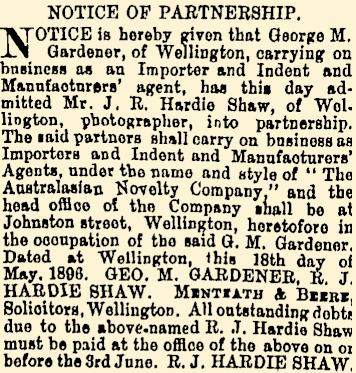 Although of a very retiring disposition, Mr. Shaw took a keen interest in the progress of Wellington, and was among other societies, a member of the Wellington Industrial Association and Central Chamber of Commerce. John Waddell Shaw died 27 January 1896 at his residence Coromandel Street, Newtown, Wellington aged 61 years . He was buried in the Karori Cemetery on 28 January 1896 aged 61 years. We regret to announce the death of Mr. J. W. Shaw, late Deputy-Registrar of Deeds and Assistant Land Registrar in Wellington, who has succumbed to a painful and now too common disease. 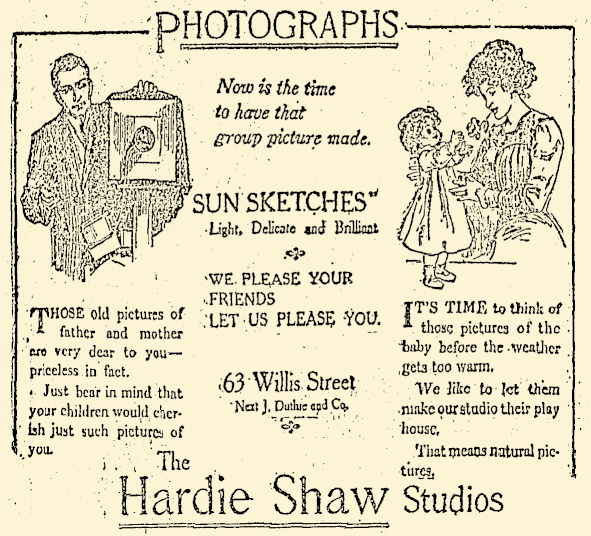 Mr. Shaw was the only son of the late Dr. Robert Shaw, D.D.. of Whitburn, Scotland. He arrived in the colony about 1860, and took a charge as minister in the Presbyterian Church, but owing to his voice failing he was obliged to retire, and he entered the Civil Service about 1874. He leaves a wife and six children four daughters and two sons, the eldest of whom is the well-known photographer. Dr. Robert Shaw (1795-1863) was a Scottish Presbyterian theologian and minister at Whitburn (halfway between Edinburgh and Glasgow). He was a leader in the Original Secession Church. Author of "The Reformed Faith: Exposition of the Westminster Confession of Faith."